With Multistack, you can add capacity next week, next month or next year – with no cost penalty and no extra hassle. Not sure of what your total building load will work out to? Multistack’s scalable design lets you be conservative today without limiting your choices tomorrow. Planning to grow your operation in the future? No need to bog yourself down with additional equipment right away. Install what you need and incorporate new modules when the timing is right! 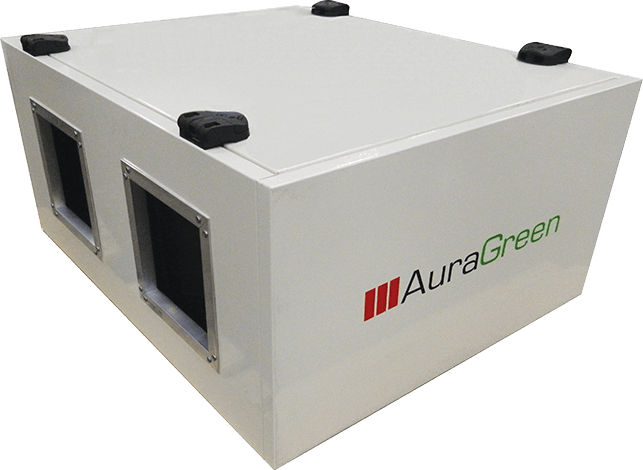 Most Multistack modular systems comply with ASHRAE 15 and CSA B52 standards, which means you can do without auxiliary ventilation, monitoring and SCBA equipment. The result? Big savings in terms of cost and installation time. Not to mention an operational advantage when it comes to obtaining LEED certification. 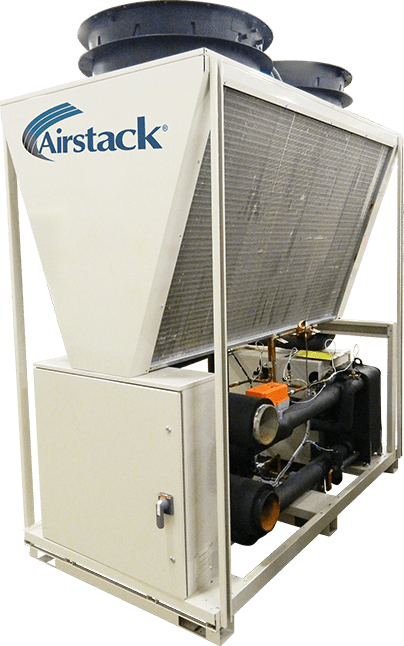 Multistack was originally designed as a solution for problem chiller changeouts, which required costly and cumbersome dismantling and remounting. Our modular approach means that new equipment can be delivered and assembled piece by piece. It can easily fit through doorways and into elevators and even be installed around obsolete equipment if necessary. And it saves on space too: Multistack can provide 85 tons in as little as 10 square feet per module. 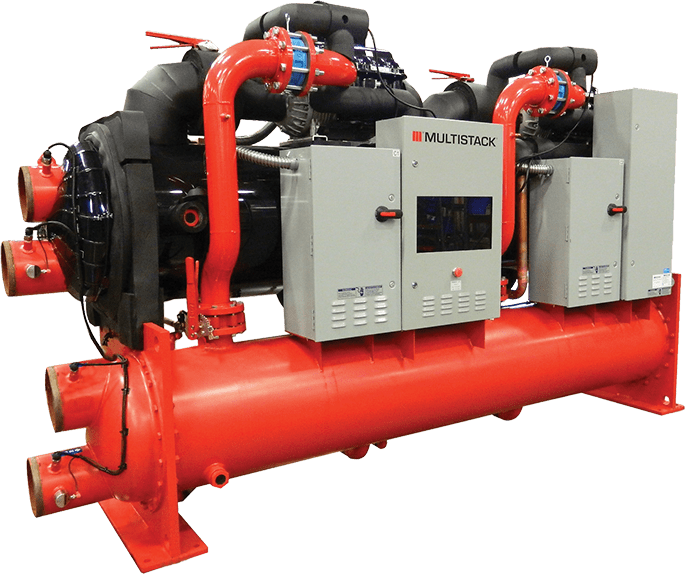 Because Multistack modular systems are more straightforward in their design than conventional chiller systems, they are generally easier and more economical to service. Modular units require no oil changes and no eddy current analysis. Simply keep the water clean and treated – and your job is done! 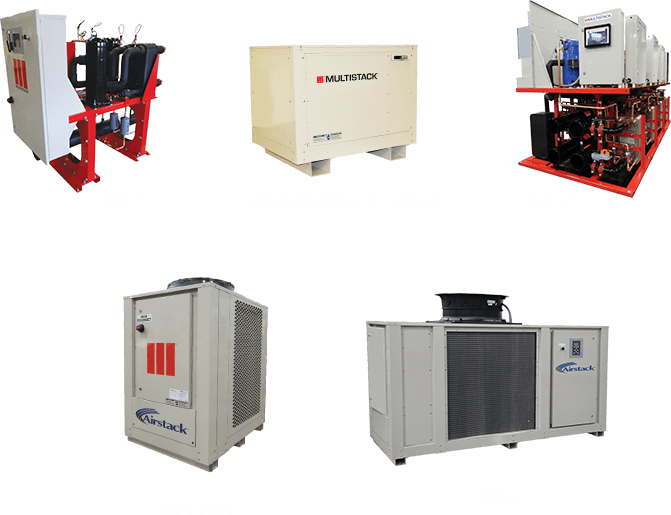 Multistack modular chillers are inherently quieter than conventional systems. We use a variety of techniques to limit sound output, including specially selected compressors and our trademark panel system. Less noise makes Multistack the perfect choice for critical medical and business applications, as well as discerning homeowners. 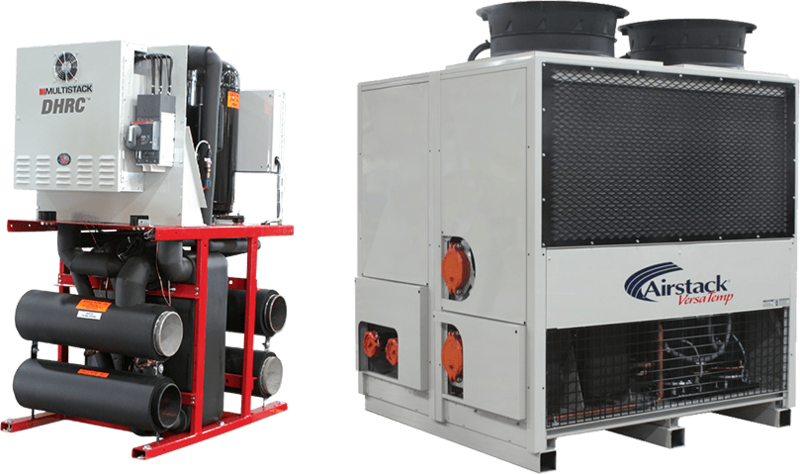 N+1 redundancy in a conventional system usually entails the installation of a second chiller of equal capacity. Multistack’s modular design means that we can achieve the same level of redundancy at a much lower cost. A single backup module is all it takes to provide the critical protection you need to ensure continuity in the event of an interruption. Because we place our customer needs above all else, we are available to deliver worldwide on very short notice. We maintain a core inventory of the most popular modules and are agile enough to shift production schedules as needed, so that we can satisfy virtually any emergency shipping requirement. Contact your local Multistack representative for more information.